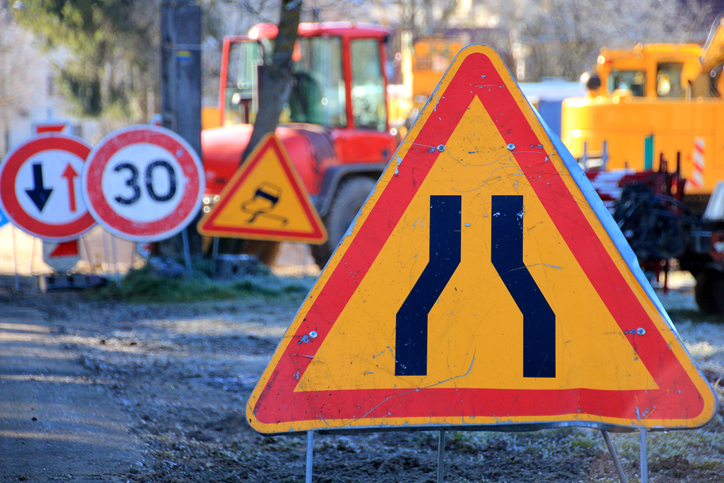 Many of us are used to seeing construction zones on highway or residential areas. When driving, you should be extra careful in these zones. "Simple safety practices can make a lifesaving difference in work zones," says Share the Road professional driver Dee Sova of Prime Inc. "Work zones are active places with busy construction crews and a lot of moving pieces. Let's all stay focused on the driving task and navigate safely and slowly through work zones this construction season." With safety in mind, Share the Road offers the following tips for driving in construction zones. Expect the Unexpected – Speed limits may be reduced, traffic lanes may be changed, and people may be working on or near the road. Be Patient and Considerate – Work zone crew members are working to improve the road and make your future drive better and safer. Slow Down – Speeding is one of the major causes of work zone crashes. Don't Tailgate – Keep a safe following distance between you and the vehicle ahead of you. Pay Attention to Posted Signs – Warning signs are there to help guide you. Use them. Stay Alert and Avoid Distracted Driving – Work zones present uncommon obstacles. Motorists need to pay attention to the road and their surroundings. Plan Your Trip – Schedule your trip with plenty of extra time. Expect delays and leave early so you are not anxious while driving. Be Aware of Blind Spots – Trucks have large blind spots in front, back and either side. Try to avoid lingering in this space and do not cut in front of a truck.